This is a nice Death Valley dual-sport ride. 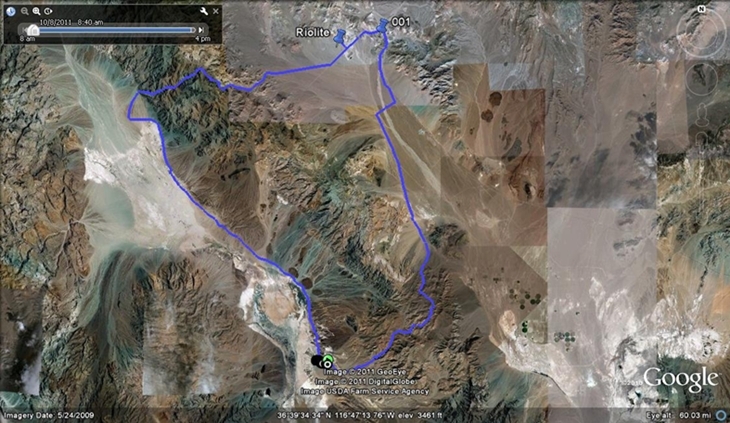 It starts at the Furnace Creek Ranch - goes up through Eco Cyn - over to Amargosa Valley - Stops in Beatty for Lunch - back through Titus Cyn - and finishes back at Furnace Creek. Plated bikes ONLY - There's about 30 miles of pavement.